Joseph has a diverse commercial chancery practice, spanning all of Chambers’ practice areas. He is regularly instructed to appear as sole counsel in High Court and County Court litigation, as well as being instructed as part of a larger counsel team. His practice also often involves advisory work. successfully resisting an application for permission to appeal against a refusal to grant summary judgment in a multi-million pound civil fraud case. Joseph studied Law at Selwyn College, Cambridge, graduating in 2013 with a first class degree. He was awarded a university prize for the best result in the Equity Tripos, as well as numerous college scholarships and prizes. Upon completion of the BPTC (outstanding) at City University, London in 2015, Joseph was awarded the William Rose Memorial Prize for Excellence in Drafting. He also holds Lord Denning, Hardwicke, and Sunley Scholarships from Lincoln’s Inn. Before starting pupillage, Joseph spent several months working with a major litigation funder, where he was responsible for assessing applications and drafting funding agreements. He is familiar with various funding models and with the effective presentation of cases to investors. Joseph has also taught and examined undergraduate courses in property and trusts at Cambridge and UCL. 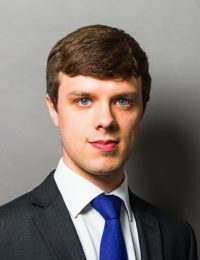 Joseph joined Chambers in 2016 upon the successful completion of his pupillage. His pupil supervisors were Rupert Reed QC, Jonathan Hilliard QC, Emily Campbell, Julian Greenhill and Andrew Mold.